Shouldn’t Every Hospice Have a Massage Therapist? Yes, they should. However, not every hospice has a massage therapist. It’s not a requirement. But we at Hope Hospice have one and we are proud of the work she does! 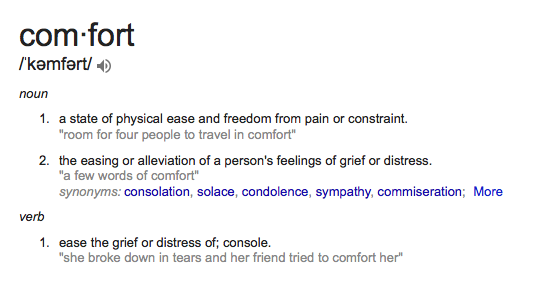 The primary goals of hospice care are patient comfort and symptom control. Massage therapy helps us meet those goals with our patients. While we all love a good back rub, our Hope Hospice massage therapy goes well beyond that. Our massage therapy addresses centralized areas of pain, which can be in the back, the shoulders, the arms, the legs, the hands, the feet, the neck or the head. Many patients spend much of their day in bed or in a chair with little movement. Muscles that are not used can become stiff. Massage can relieve that stiffness. Massage therapy can aid in circulation, especially in the arms and legs. Hospice patients face a unique kind of stress. Not only are they concerned about their own lives coming to an end, they also worry about their survivors and how they will fare following the patient’s death. For most patients, massage therapy provides significant stress relief. A simple human touch can provide psychological relief that is often greater than the physical relief a massage can offer. Another result of massage for many patients is better sleep. Our Hope Hospice massage therapist is aware of medical conditions and family circumstances regarding each patient she visits. She attends our weekly staff meetings where she receives patient updates and frequently offers her input. She is a vital part of our hospice care team. Massage therapy is one of the lesser-known elements of hospice care. Here in St. Louis at Hope Hospice, we know that it is a vital and effective way to improve the quality of life of our patients. We make sure that every patient and caregiver is aware that we offer massage therapy and we encourage them to take advantage and reap the benefit. If you are with your spouse or your parent when the doctor says to him or her, “I don’t think we can do anything else. You will want to call hospice,” the message can be jarring. Even if you have had doubts about the effectiveness of treatments—even if you have seen the illness progress just like it did with other family members—even if the discomfort from chemo has been overwhelming—receiving these actual words from the doctor is likely to cause sadness and, in some cases, can even lead to depression. This is a time when family members and the patient need to evaluate the whole situation. The number one priority should be patient comfort, both physical and mental. Letting the patient know that you will be by his or her side, giving your time and attention through the entire process, is vital. The patient may want to talk at length or she or he may want to reflect quietly. The patient may even want a bit of solitude to think and, perhaps, to pray. You may wish to talk to one or more hospice agencies. Ask about the services they afford. Ask about their nurses and home health aides. Ask about their social workers and chaplains. In making a decision to seek admission to a particular hospice, consider the entire range of services a hospice offers. If a number of family members are to be included in the hospice decision, make sure that all voices are heard—especially that of the patient. If the family members concerned are children of the patient, avoid power struggles. In some cases, one particular family member may be much better equipped to handle important details. Some siblings may wish to share their thoughts, but may not want to shoulder much of the responsibilities. That’s just the way it is sometimes. The sooner the group comes to these realizations, the sooner things can proceed on a proper course. Consider, too, that the dying process may not be a smooth, steady decline down a consistent slope. There are usually ups and downs—in physical health and in mental attitude. There may be days when the patient feels great and days when the patient feels terrible. For this reason, calling hospice sooner rather than later is recommended. When the patient is uncomfortable, a hospice staffer can be summoned and can attend to patient needs within a short period of time. At Hope Hospice we frequently hear family members tell us, “We wish we had called you sooner.” We never hear anyone say, “We called you too soon.” If a patient’s condition improves, he or she can go off of hospice care. It does happen. As always, we encourage you to call us with any questions you have about hospice. We know that there are many details about hospice care that are not always clear. Call us at Hope and let us shed some light. Reach Hope Hospice at 314-984-9800. Visit us online at hopehospicestl.com. When the terminal diagnosis comes, reach out to us for help. Help for the patient. Help for the family.